Cover sent from Denmark to Torshavn in Faroe Islands. 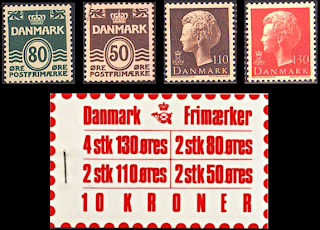 Post mark ‘ÚR DENMARK’ over two stamps Denmark definitive stamps in a total value of 130øre. Cover arrived in Torshavn on the 21 of June of 1979. 130øre it was the postal rate in use since 17-04-1979, to Scandinavia (letter weight until 20g). Special M.S. 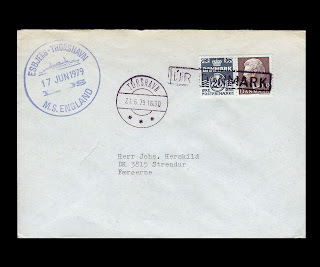 England ship postmark on the 17 of June of 1979.